You will often see a reference to a 70th week at the end of time "inserted" into Revelation, or Matt 24, or 1Thess 4. None of those chapters mention a "70th week" or the "midst of the week" or any such thing. 1. All bible timelines are unbroken and contiguous without exception. .Daniel 9:1-7 is a good example withe Jeremiah's 70 years. 2. All Apocalyptic timeline use day-for-year symbolism. Each day is one solar year. 3. Bible authors build on the previous prophetic statements of scripture. Not sure where you got those 3 rules from but I believe they are not correct. 1. Isa. 61: 2 `To proclaim the acceptable year of the Lord, and the day of vengeance of our God;...` Clearly over 2000 years space on the timeline. As to the `70th week of years,` you would probably need to do your maths on Daniel 9: 24 - 27. The 70th 'week' of Daniel has not yet happened. It was not fulfilled in the first century, despite many false ideas from those who would like it be past history. Revelation mentions the 2 half's of this seven year period, so it will occur as the last seven years before Jesus Returns. 1/ Bible timelines can have gaps. Revelation 8:1, the Seventh Seal tells of the 'about 20 year' gap between the Sixth Seal and Jesus' Return. 3/ I agree with Marilyn here. In Daniel 9:24, Daniel prophesied that these six things must come to pass before this judgment against Israel would be fulfilled. Some think Jesus fulfilled all of these, most seem to think, as I do, that these things have not come to pass, and when they do that will be the end of the age. 1. The Hebrew word used for transgression denotes revolt or rebellion. The Jewish people chose to reject God, many chose to stay in Babylon once they were freed. 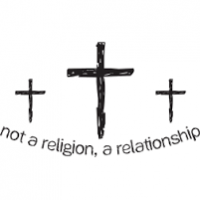 It also denotes their rejection of Jesus Christ. Jesus prophesied in Matthew 23:39 that the Jewish people would not see him again until they accepted him. 39 For I say unto you, Ye shall not see me henceforth, till ye shall say, Blessed is he that cometh in the name of the Lord. So in order for Jesus to return, Israel has to repent of their rejection of God and Jesus, and Israel will open their hearts to the Messiah, as Paul, Isaiah and Zechariah (Zechariah 12:10) prophesied, among others. 2. This is fairly straightforward, sins can only end when the millennial reign starts, so by the time this 70 week decree is over, Jesus will have returned to set up his kingdom, ushering in the millennial kingdom where there will be no sins. Since the tribulation week is the last week of the 70 weeks decree, that makes perfect sense, as soon as the tribulation period ends, or the "time of Jacob's trouble", then "sins will end". 3. Israel has to be reconciled unto God before the 70 weeks have been fulfilled. There is no doubt that Jesus died for all of our sins, thus the atonement for sins has been made, but there is a conditional requirement for all of us to receive that atonement, we must accept Jesus as our Savior. When Israel accepts the Messiah Jesus, as their Messiah, then the atonement for sins will have been completed, and Israel will have been reconciled unto God, thereby ushering in the millennial kingdom. 4. This 70 week decree has to bring in everlasting righteousness, and we know this can not happen until Jesus sets up his Kingdom. This world has always had sin, and always will until Jesus is Lord of Lords and King of Kings. By the time Daniels prophecy ends, it must usher in everlasting righteousness. 5. Seal up vision and prophecy, the word used here denotes to close up, meaning that before this 70th week can come to an end, all prophecy must be fulfilled or closed up. This will only happen when Israel accepts Jesus as their Messiah and he lands on Mt. Zion to rule over this wicked world with a rod of iron. 6. The very last goal that this 70 week prophecy has to usher in is the anointing of the most holy. The bible says most holy, many try to add holy place, but whether it is the temple being anointed, or Jesus Christ as Lord of Lord and Kings of Kings as I suspect, we know this must happen before the 70 weeks decree is fulfilled. And Jesus must return and rule on earth. All six of these things have to happen before this prophecy is fulfilled. These are six spiritual goals that have to come to pass or this prophecy will not be finished or sealed up. We know these things have not come to pass yet, but we also know they are very near to happening, therefore watch, for Israel is now a nation again, and the world is against her, soon she will need her Messiah s help, then she will call upon him, and he will save her from this wicked world. We know these things have not come to pass yet, but we also know they are very near to happening, therefore watch, for Israel is now a nation again, and the world is against her, soon she will need her Messiah s help, then she will call upon him, and he will save her from this wicked world. I have to object to the idea that Israel, the Jewish people, will receive a special salvation from God. I am not 'anti-Semitic', I only feel sad for those who refuse to accept Jesus' salvation, which is on offer now; there will be no further chance later. Some good thoughts there bro. Now just a little comment as regards` number 2. In Zechariah 14 we read of the nations that do not go up to Jerusalem to worship the King. They will have punishment upon them. Thus it seems to me they are sinning, not in obedience to the King. 2. Make an end of sins - this is in relation to Israel, I believe as are the other statements. Interests:God, Family, Friends ... I really enjoy discussing the Bible. There is so much to learn and so much to share. If there is no more sin, how is it when Satan is released a the end of the Millennium, how can he gather such a great army if there is no more sin? That is who the Prophecy is about, Israel, so I agree it is about Israel for sure. Jesus will live in Jerusalem. As per the rest of the world there isn't enough info for me to make a determination. This is an old blog of mine, I would probably ad in Malachi 4:5-6 if I rewrote it as per the timing of number 3. Mal. 3:1 Behold, I will send my messenger, and he shall prepare the way before me: and the Lord, whom ye seek, shall suddenly come to his temple, even the messenger of the covenant, whom ye delight in: behold, he shall come, saith the Lord of hosts. Heb 8:6 But now hath he obtained a more excellent ministry, by how much also he is the mediator of a better covenant, which was established upon better promises. Rom 15:8 "Now I say that Jesus Christ was a minister of the circumcision for the truth of God, to confirm the promises made unto the fathers"
It is after the sixty-ninth week that Messiah is cut off. That fact definitely places it in the seventieth week—that last remaining week of the prophecy. It was during this week that Christ did confirm His covenant with many according to Matt. 26:26-28. On this solemn occasion Christ instituted the most sacred of Christian ordinances, the Lord's Supper, saying, "This is My blood of THE NEW TESTAMENT (literally covenant), which is shed for MANY for the remission of sins." Conclusive Proof Links Christ With the Covenant. The death of Christ very definitely instituted the New and Everlasting Covenant, and Christ emphatically confirmed that covenant with many during the three and a half years of His ministry on earth. Even the words of Daniel are almost identical with those of Matthew—"He shall confirm the covenant with many"—"this is My blood of the New Testament which is shed for many." The evidence is very conclusive. There are 281 references to "covenant" in the Scriptures according to Young's Analytical Concordance. Not one of these references in any way introduces the idea of a covenant between the Jews and the Anti-Christ. 'There is not a hint anywhere that such a covenant is suggested, intended, proposed or prophesied at any time. Concerning the covenant between the believers and the Messiah there are many scores of such references. They are found in almost every book in the Bible. The reason is because when the Jews broke the Old Covenant, (see Jer. 31:31-33) then God purposed to make a new and everlasting covenant with His people. Consequently all the prophets refer to it and Daniel foretold that it would be ratified in the 70th week of his prophecy. cp. Heb. 8:7-10. Commentary ; it is spelled "berith" in Young's Analytical Concordance. In the Pulpit Commentary, Vol. 29, p. 275, a lengthy exposition points out that "Bereeth" is only used in connection with a Divine Covenant. It is never used to designate a "league" with any other power or force but is always reserved to describe a covenant between God and man. For that reason the covenant cannot apply to anyone except the Messiah. It cannot possibly describe a covenant with the Anti-Christ or any political group involving apostate Jews. It is further explained that when the covenant is confirmed the sacrifice and oblation ceases. The Massoretic text renders it : "And one week shall confirm a covenant to many, and in the middle of the week MY sacrifice and offering shall be taken away." The use of the pronoun "my" removes all doubt concerning what sacrifice and oblation is meant. It was the Mosaic sacrifices which God ordained and honored until the death of Christ. That is the only sacrifice God could call "MY" sacrifice. The death of Christ on Calvary DID institute the New and everlasting covenant and Christ Himself DID confirm that covenant with many during His earthly ministry. When Christ died on the cross the veil of the temple was rent from top to bottom, thus signifying that the old sacrifices and oblations had ceased to have any spiritual or efficacious value. At the best they were but a shadow of good things to come, (Heb. 10:1), and when Christ died on the cross the "better covenant was established." Heb. 8:6. The old covenant with its sacrifices and oblations became null and void immediately Christ died, and in that sense He caused them to cease. Why so much disagreement on the start of THE DAY? I hope all the participants here know, Revelation is written in an order. Since John numbered so many things for sequencing, why would anyone suppose it is OUT of order? As I read it, Jesus begins this book right where John was at the time, around 95 AD. In chapter 21, we see John is beyond the thousand year reign of Christ, so far far into our future today. It just makes sense then that somewhere between chapters 1 and chapters 21, is where the church is TODAY. I hope then that all the writers here will show us where they perceive the church is today in the book of Revelation. I am not interested in preterist thought - only those that believe much of Revelation is still future need answer. Next, I would like to see where everyone places the start of the Day of the Lord, and WHY. Next, where do people see the start of the 70th week and why. Finally, where do people see the exact midpoint, and why. Since Revelation already HAS an order, that is a chronology, I will not change it. I think the Holy Spirit knew and knows the sequence of events that is coming. Therefore, I believe any theory that must rearrange Revelation to work will immediately be suspect and in the end will be proven wrong. Further, I am convinced that it is the 70th week that is INSIDE the seals scroll, and that all 7 seals must be opened before the 70th week can begin. I see the 70th week then beginning with the 7th seal that allows the book to be opened. therefore the trumpets will come in the first half of the week. With that said, John TELLS US where the Day of the Lord, or the Day of His wrath begins: right at the 6th seal. 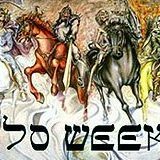 Next, I see the 70th week beginning right at the 7th seal, and I see the midpoint right at the 7th trumpet. I see the week end at the 7th vial. therefore the entire week is marked by 7's. I find it amusing that people imagine they can move events around (rearranging) revelation to fit a theory. I think it would be far wiser to create a theory from the book AS WRITTEN. I find such a theory fits all end times scriptures. What did Jesus mean by "those days should be shortened...?" Matthew 24:22 And except those days should be shortened, there should no flesh be saved: but for the elect's sake those days shall be shortened. What did Jesus mean? First, what are "those days?" 21 For then shall be great tribulation, such as was not since the beginning of the world to this time, no, nor ever shall be. Many people imagine that Jesus put a TITLE on the last half of the week, titling it "The Great Tribulation." No, there is no such title for the last half of the week. In Jesus' own words, there will be "those days" of "great tribulation." What will cause "those days" of GT? John tells us: there will be an image erected, as Nebuchadnezzar did, and the Beast will force all to worship this image or be put to death. Next, there will be a mark established, and all must receive this mark, or be put to death. All will know, (whether they believe it or not) that to take the mark will doom them to the lake of fire. NO ONE will be able to buy or sell without the mark. Drinkable or safe water will become very hard to find. The only safe water will be in stores. But without the mark, no safe water to drink. Therefore, hunger and thirst will become intolerable and people may take the mark just to get a drink of water. In other words, GREAT PRESSURE will be put on people to take this mark. How long will "those days" of GT last? First, when will "those days" begin? If we follow along with John's narrative in Revelation, we see the warning not to take the mark is in Rev. 14. And in chapter 15, we see the beheaded people begin to show up in heaven. Therefore the days of great tribulation will begin sometime between chapters 14 and 15. However, this is not to say hard times won't come before. The Beast will begin his attack on believers shortly after the midpoint. As John shows us, the False Prophet or second beast does not show up at the midpoint, but some unknown time later. It is the False prophet that convinces the people to erect this image to the Beast. So the image itself will come some unknown time after the midpoint of the week. It is also this False Prophet that creates this mark without which no one can buy or sell. How long into the second half of the week will the image and mark be created? No one knows. John did not tell us. HOW will God "shorten" "those days" of "great tribulation?" When the murdering of the saints gets to a peak, God will begin pouring out the vials of His wrath, which will "shorten" those days of GT. In other words, after a few of these vials, there will be no one in the Beast's armies hunting down believers or beheading them. These vials of wrath will bring the Beast's operations to a HALT. Thus, the days of GT that could be, will not be. The beast will still have his 42 months of authority, but will be rendered helpless by the vials of wrath and associated plagues. Therefore, no one really knows how many days will be included in "those days." It is an unknown. All we can know is, the Beast, the False Prophet, and their armies will be rendered almost helpless as it relates to hunting down believers and beheading them. It will be the number of days that gets shortened. The 70th week will not be shortened, or will the Beast's 42 months get shortened. Daniel's 9:26 & 27: what is the Author's intent? There may not be another verse in the bible with so much controversy as Daniel 9:27. I challenge the readers to read this verse in these different translations to give the full meaning presented by Daniel. I highlighted parts that seem different than KJV. J.P. Green's Literal: 27 And he shall confirm a covenant with the many for one week. And in the middle of the week he shall cause the sacrifice and the offering to cease. And on a corner of the altar will be abominations that desolate, even until the end. And that which was decreed shall pour out on the desolator. Douay-Rheims Bible: 27 And he shall confirm the covenant with many, in one week: and in the half of the week the victim and the sacrifice shall fail: and there shall be in the temple the abomination of desolation: and the desolation shall continue even to the consummation, and to the end. The complete Jewish Bible: 27 He will make a strong covenant with leaders for one week [of years]. For half of the week he will put a stop to the sacrifice and the grain offering. On the wing of detestable things the desolator will come and continue until the already decreed destruction is poured out on the desolator." Peshitta - Lamsa Translation: 27 And he shall confirm the covenant with many for seven weeks and half of seven weeks, then he shall cause the sacrifice and gift offerings to cease, and upon the horns of the altar the abomination of desolation; and the desolation shall continue until the end of the appointed time; the city shall remain desolate. Miles Coverdale Bible: He shall make a stronge bonde with many, for the space of a weke: and when the weke is half gone, he shal put downe the slayne and meatoffringe. And in the temple there shalbe an abhominable desolacio, till it haue destroyed all. And it is concluded, yt this waistinge shal continue vnto the ende. Daniel 12:11 (Peshitta - Lamsa) And from the time that the daily sacrifice shall be abolished, and the abomination is given to destruction, there shall be a thousand two hundred and ninety days. Young's literal: and from the time of the turning aside of the perpetual [sacrifice], and to the giving out of the desolating abomination, [are] days a thousand, two hundred, and ninety. Then Daniel told us of the abomination done by Antiochus Epiphanes: This is a TYPE of what the Beast of Rev. 13 will do in our future. Douay-Rheims Bible: Daniel 11:31: And arms shall stand on his part, and they shall defile the sanctuary of strength, and shall take away the continual sacrifice: and they shall place there the abomination unto desolation. King James: And armes shal stand on his part, and they shall pollute the Sanctuarie of strength, and shall take away the daily sacrifice, and they shal place the abomination that maketh desolate. In every one of these verses, the daily sacrifice is stopped. That means, ceased: the next day there will NOT BE a sacrifice. The Complete Jewish Bible probably says it best: "put a stop to the sacrifice and the grain offering." How can anyone misread "put a stop to?" Question: the theory that Jesus' death, burial and resurrection is what stopped the daily sacrifices has been proposed on this forum. When we understand that the daily sacrifices DID NOT STOP when Jesus died, and did not stop when he rose from the dead, but continued on for many years, how can it be possible that anyone can still hold to that theory? The truth is, Jesus did NOT stop the daily sacrifices: these verses tell us it is the placing of an abomination in the temple that stops the sacrifices. All Jesus did was stop the NEED for these sacrifices. Comparing all these translations, and these verses: it is clear, there is an abomination that will cause the daily sacrifices to cease at the midpoint (halfway point) of the week. That abomination will be placed (or will walk) into the Holy of Holies, and then from that time, desolations will continue to the end. Question: since the stopping of the daily sacrifices and the presence of the abomination of desolation are found right next to each other in one sentence, can we establish a cause and effect relationship? i think we can. The Old Testament tells us if the temple is desecrated, it must be cleansed before Sacrifices can continue again. Now, what can we find in the New Testament that will confirm this? How can anyone with common sense deny that this is speaking of the same thing we found in Daniel? Jesus is quoting Daniel! And Jesus is answering a question about the end of the age. This end of the age is still ahead of us today. Now let's examine this event: the conclusion from all the scriptures in Daniel is that an EVENT: the placing of an abomination in the temple, will cause the daily sacrifices to stop. And this event will be what divides the week. Question: how in the world can an event in our future divide a week, if we don't have an entire week to divide? It would be impossible. There MUST BE an entire week in our future that can be divided into two equal halves. The scriptures prove it is an abomination that will divided the week and stop the daily sacrifices. Jesus Himself put this abomination into our future (the end of the age). Therefore, if it is the abomination that divided the week, THERE MUST BE A WEEK TO DIVIDE at the same time. Then there is another point: the HE that confirms a covenant is the same HE that will break this covenant. Question: can anyone imagine that Jesus Christ would break a covenant after 3 1/2 years? Does GOD break covenants? It seems the scriptural evidence is overwhelming that sometime in our future, someone will enter the temple or place in the temple an abomination, and this will stop the sacrifices and will divide the week. Paul tells us that the man of sin will accomplish this.